Brunch N' Cupcakes: Take Me Out to the Ball Game! 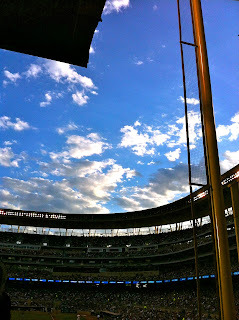 Monday Evening I enjoyed my first ever Twins game at the Beautiful Target Field! I mean this field is amazing, I feel like it is just something you have to see! The game Monday brought out a huge crowd and I can see why! We had the most perfect weather, just a light breeze and clear sunny skies! Perfect! Minnesota is beautiful in the Spring time! 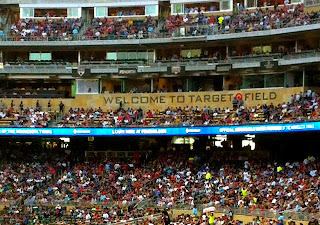 The Twins played the Cleveland Indians. 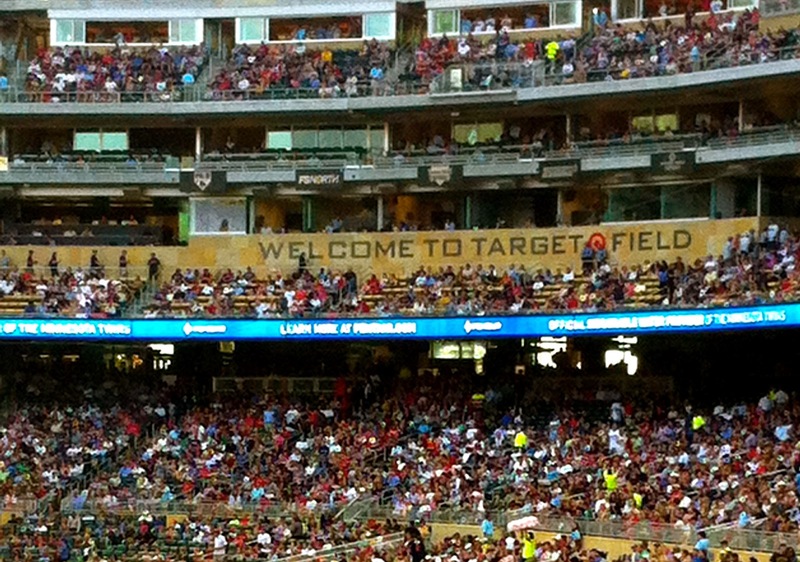 And while the Twins didn't come out with a win I still had fun seeing the Stadium for the first time! Being outside in the fresh air just made me all excited for summer! 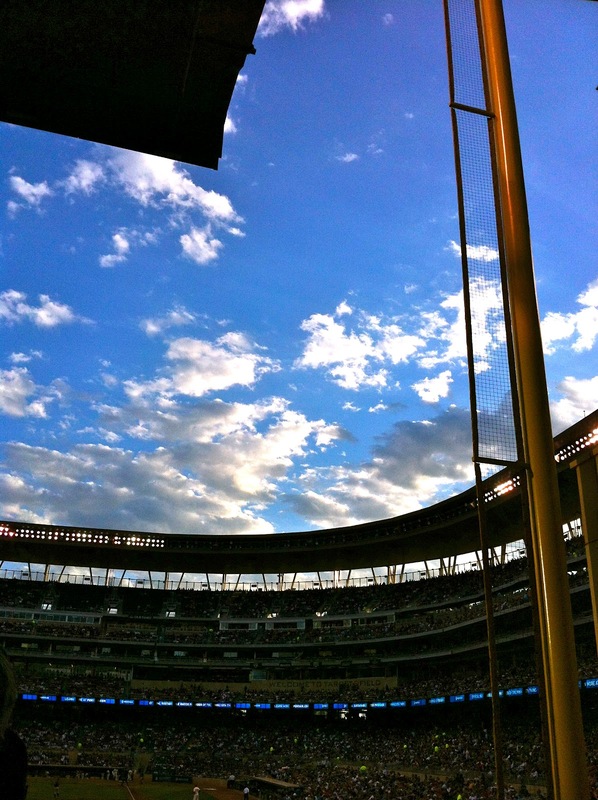 I could get used to walking to Twins games over the summer! 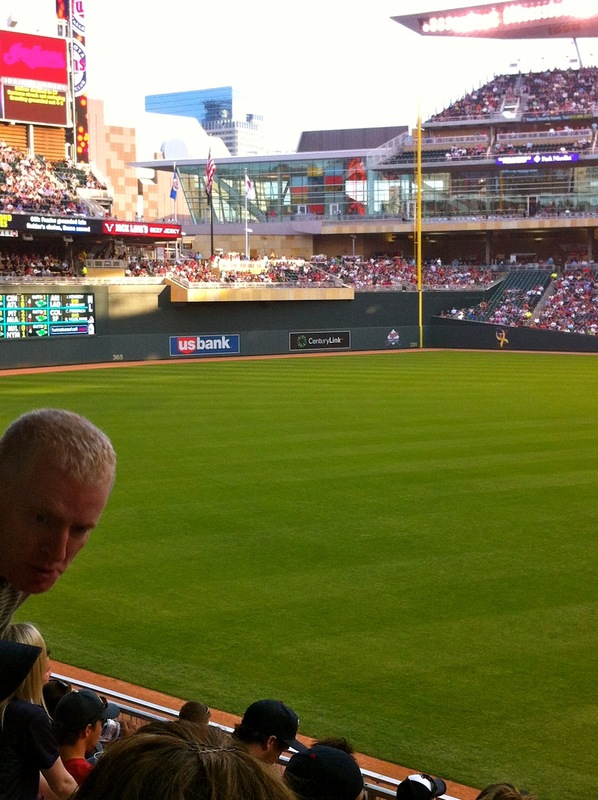 I mean Target field is right in my back yard!! 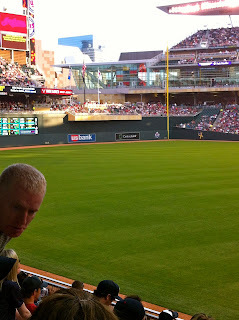 Do you enjoy going to baseball games in the summer? My dad used to take us to games when we were little. I didn't understand baseball but had so much fun just being at a pro baseball game. His favorite team is the Cardinals so we saw them several times. We also saw the Astros once or twice...I remember one game I was so worried that the drunk people behind us were going to spill beer on us. Ha ha! I'm so jealous you live so close to a professional team! We used to have the AAA team to the Braves but they moved and we got a AA team for the Giants. BOO!!! But I'm going to a Braves game next month and I cannot wait!! I lovee going to baseball games!! I always go to the Charlotte Knights games (even though they're not that good), but they're always so much fun. Popped in to say hi! I like the Round Rock Express here in Texas!